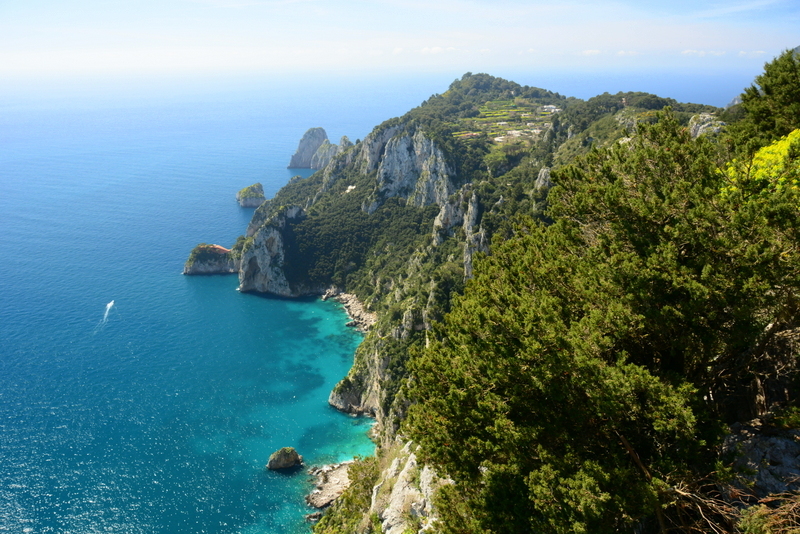 An early ferry took us to the island of Capri, our final destination in this picturesque region. 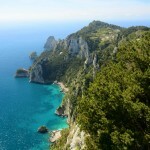 It took us only 25 minutes to reach Capri which left us plenty of time to explore. 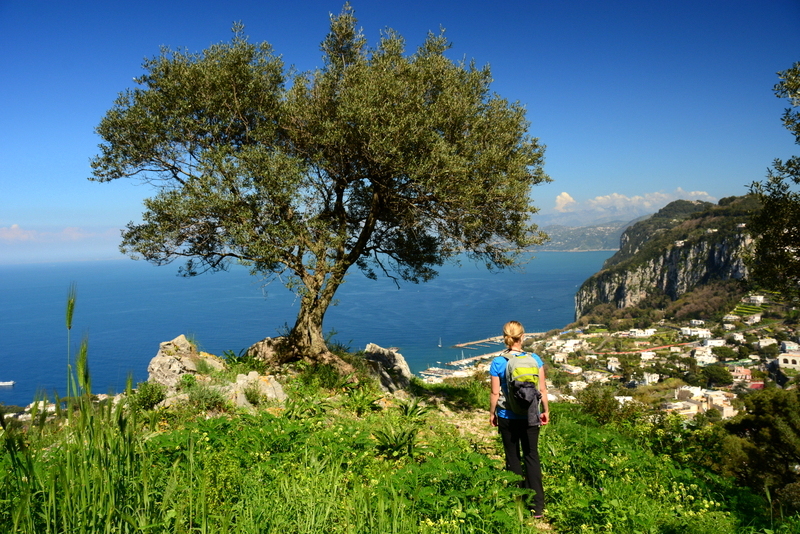 The island was bigger than I expected but we managed to walk the whole length and to the highest point. 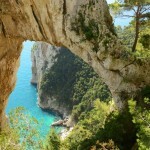 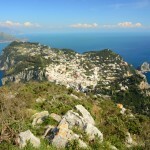 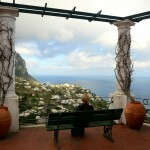 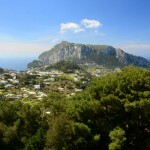 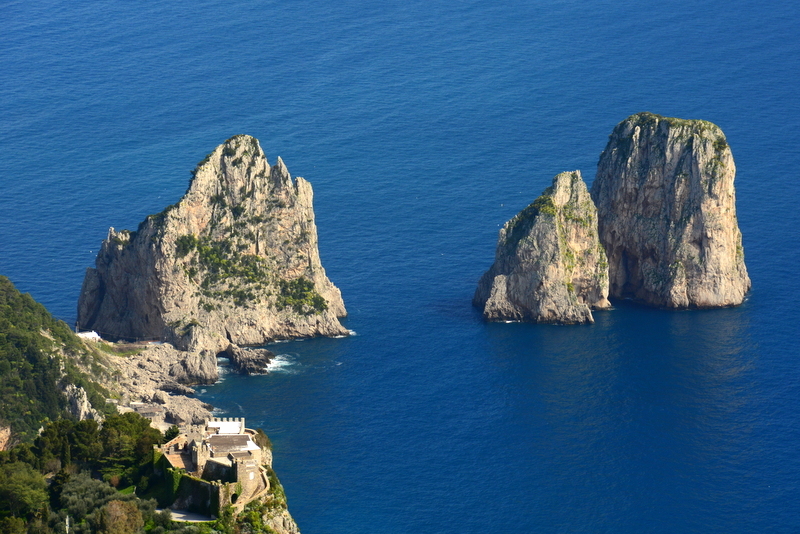 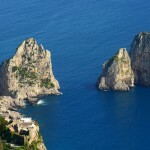 Capri is home to two towns, Capri and Anacapri. 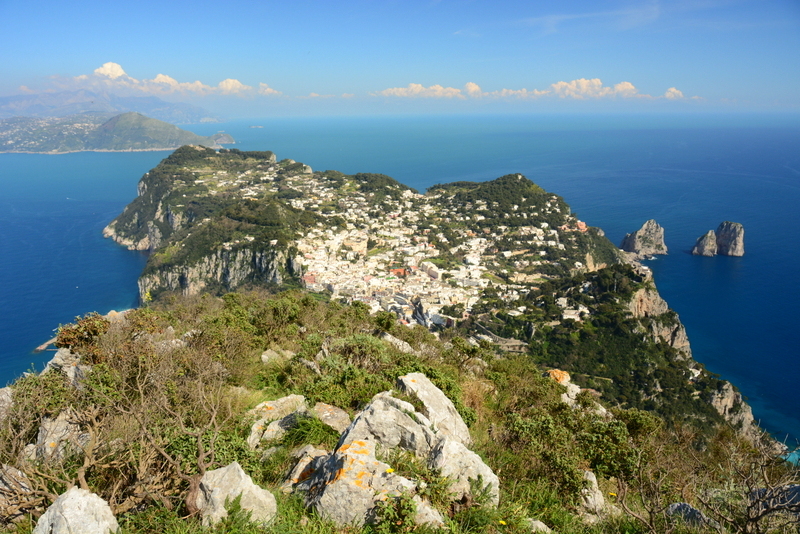 After spending part of the morning wandering the streets and visiting gardens in Capri, we took a long, uphill walk to the most easterly part of the island. 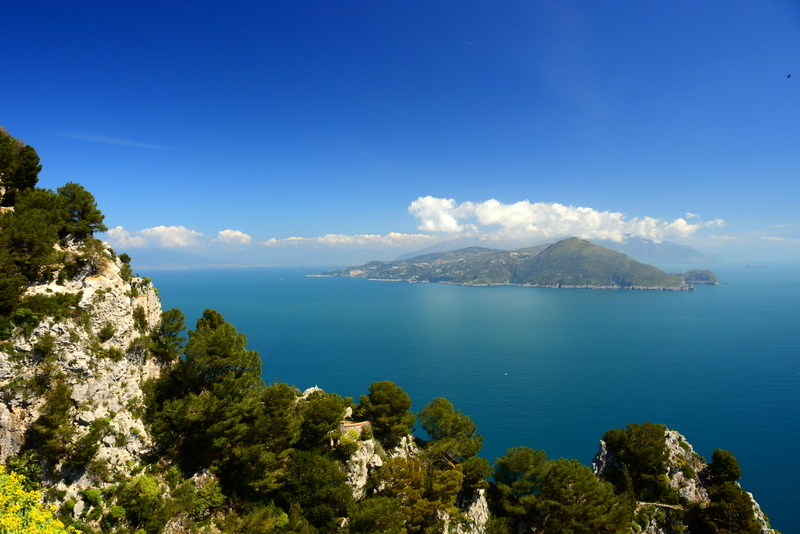 While there, we visited ruins of the home of Tiberius, an emperor who ruled Rome from the island. 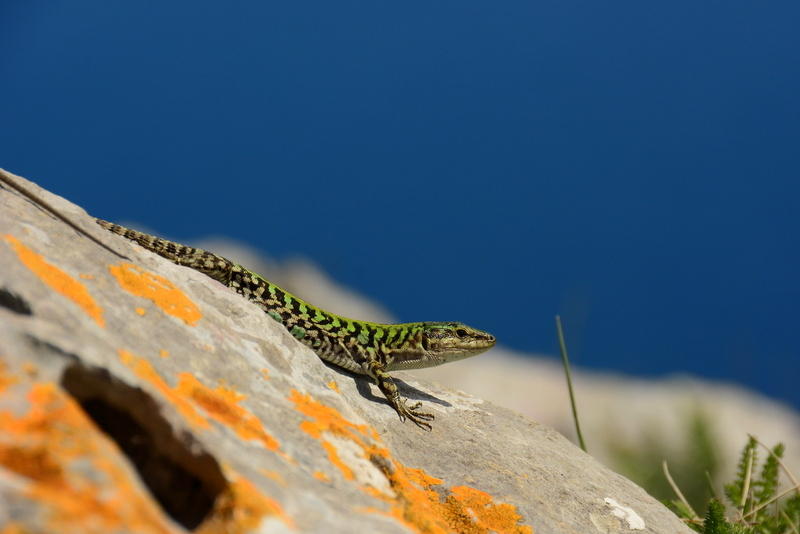 He chose a great home! 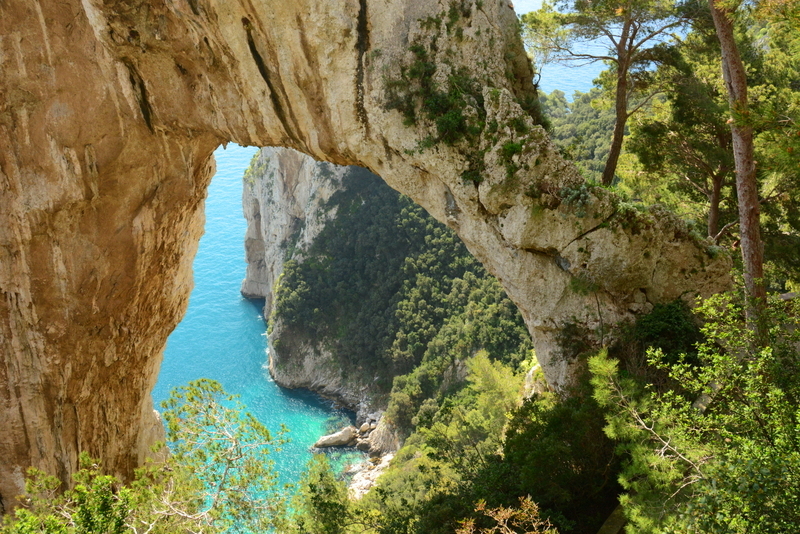 Marko and I both agree that it is hard to depict how truly spectacular the view was in photos. 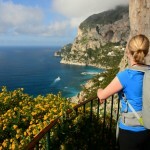 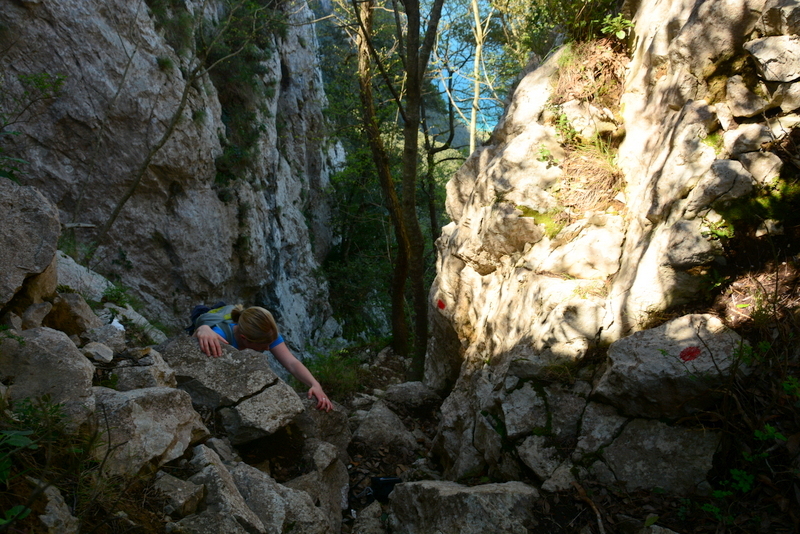 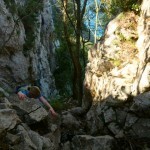 Cagapri rewarded us with one of our best hikes of the trip. 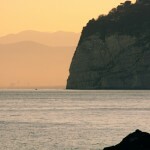 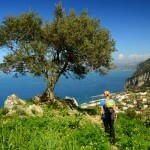 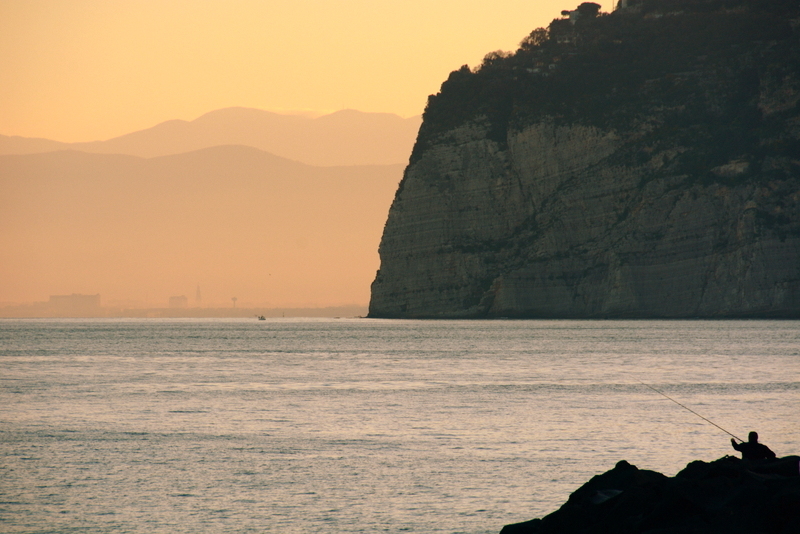 While trying to find a walking trail to Anacapri, we met up with an Australian couple. 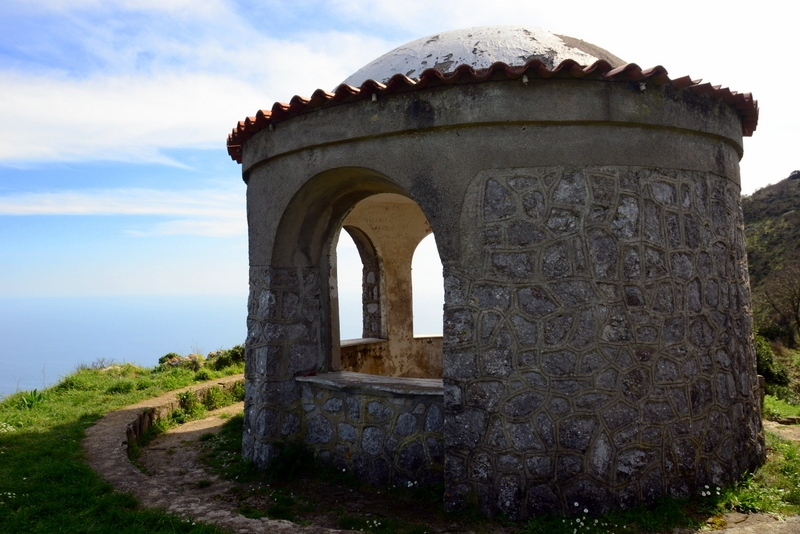 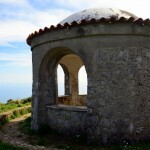 With their help we found a hiking trail that brought us to Monte Solaro, the highest point on the island. 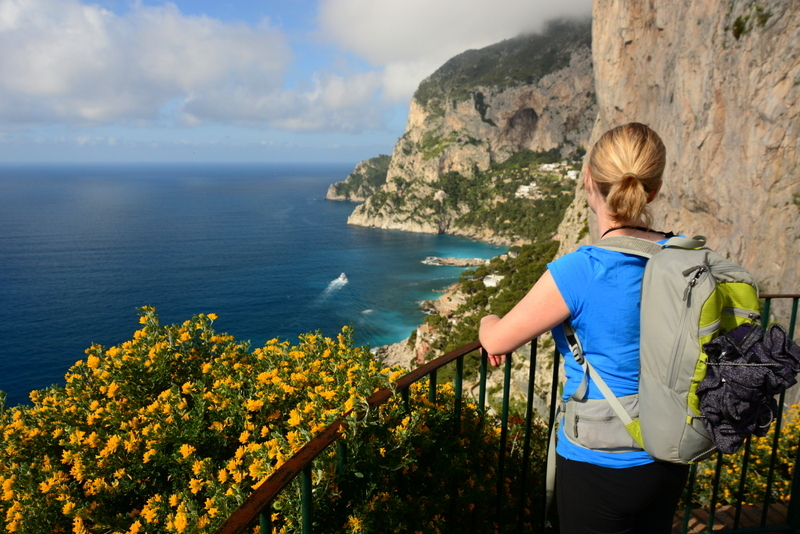 The trail was relatively steep but it wasn’t long before we could see almost all of the island. 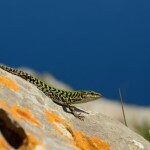 Along the route, we encountered many small lizards scurrying away as we approached. 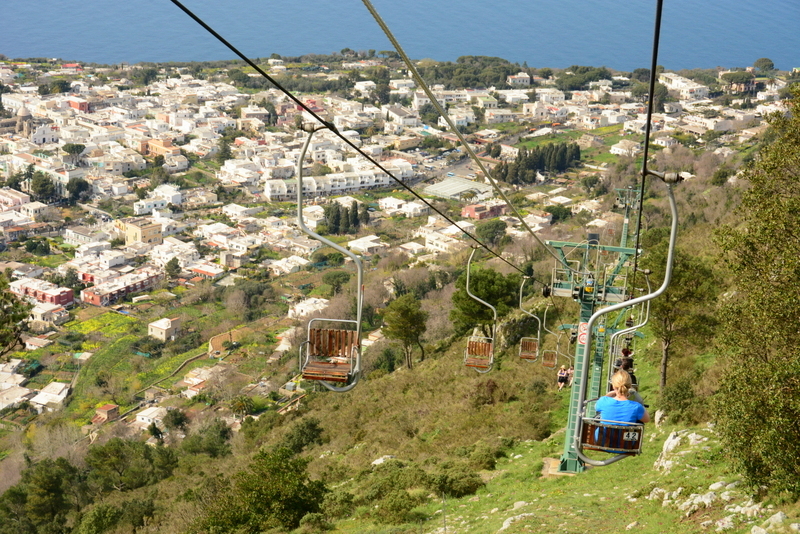 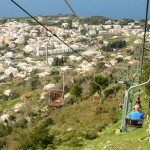 After taking in the view, we decided to treat ourselves to a chairlift ride down the other side of the mountain into Anacapri. 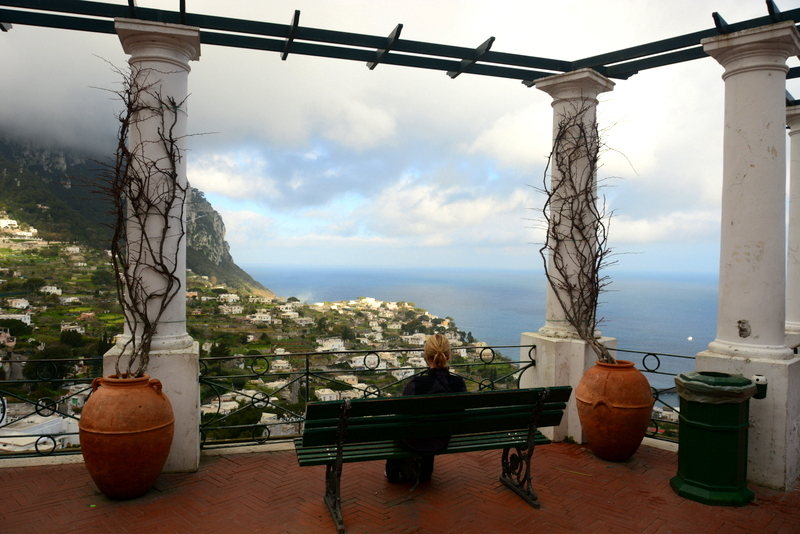 It was a great chance to rest and take in the views. 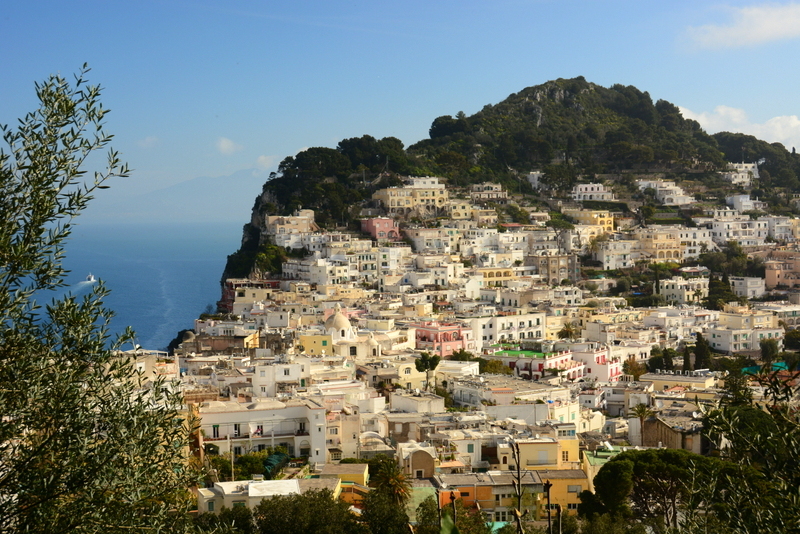 One of the things that we learned while traveling in Italy is that a “sit down meal” often includes a cover charge, service fee, and a pricey bottle of water. 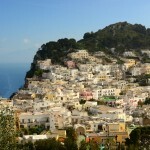 The additional charges were especially noticeable in Capri. 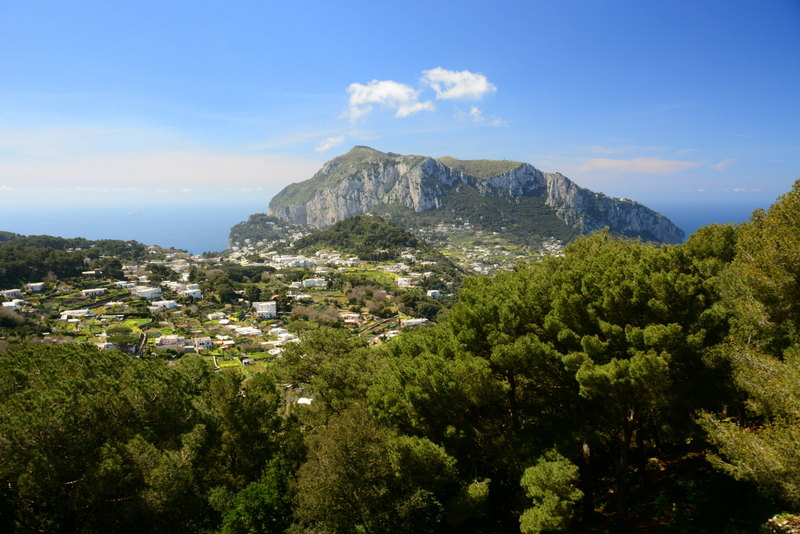 Given some of the extravagant villas and expensive shopping areas, it seems that Capri is a favorite vacation spot for the wealthy.